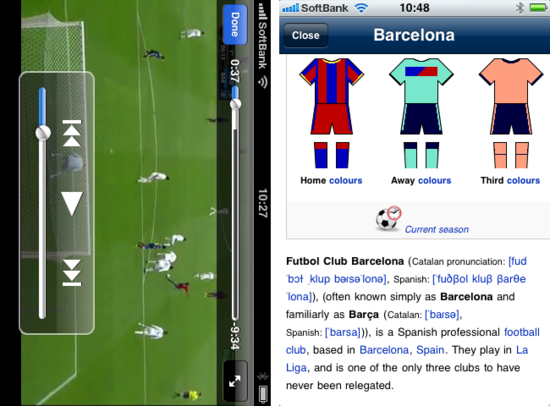 <FC Barcelona> iPhone app - tons of videos & photos ：Quantis,Inc. 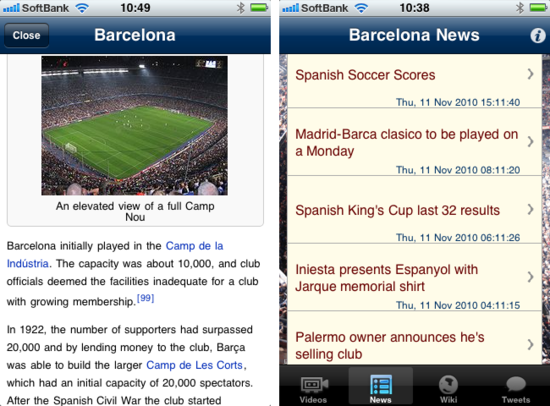 Barcelona Views is the iPhone app for the FC Barcelona fans. You can enjoy news, videos, tweets and Liga Española wiki data library! 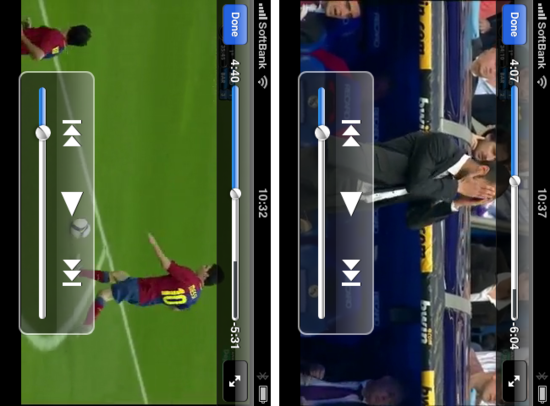 1) FC Barcelona videos with YouTube player. 3) Liga Española Teams data library. 5) FC Barcelona tweets search. - Photo zooming function added. Barcelona Views requires internet connection.